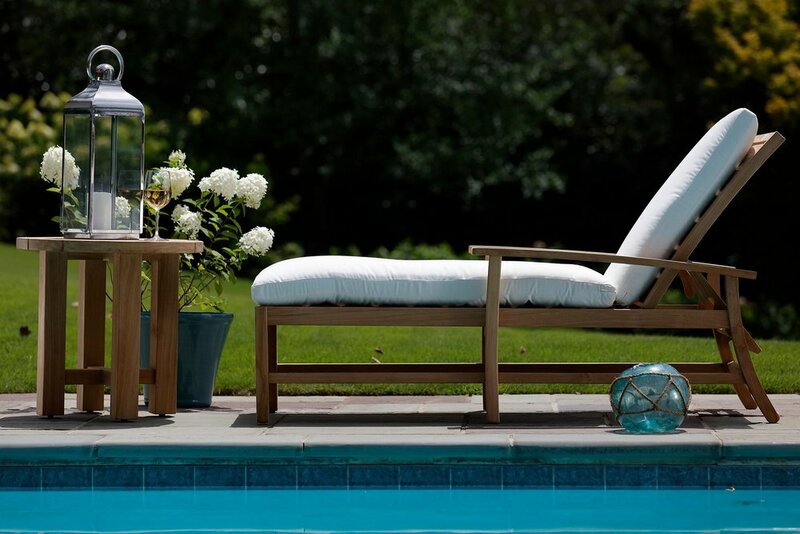 Crafted from our plantation harvested teak, the Charleston teak collection pairs traditional silhouettes with timeless detailing and the very best outdoor fabrics from Sunbrella. Charleston is now executed in marine grade teak, offering the same design in a material capable of withstanding harsh salt water environments. Available in natural teak as well as an exclusive oyster finish, developed to mimic the coveted silvery grey patina of aged teak giving sophistication to a coastal design.